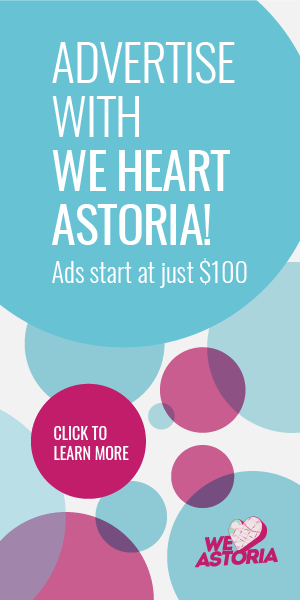 We Heart Astoria Food Talk covers everything from Valentine’s Day Specials, Front Toward Enemy party, New York Dog House, the new Astoria Bier & Cheese location, new menu items at Ovelia and a Guide to Drinking and Dining in Astoria. Food Talk features special drinks and little bites options such as from the New York Dog House, Zenon Taverna, The Queens Kickshaw, New York City Bagel & Coffee House, Snowdonia and more! The Polar Vortex returns this week, and with it a new set of comfort food suggestions from Alobar, Queens Comfort, Ovelia, Pink Nori, Katch Brewery and Woodbines. 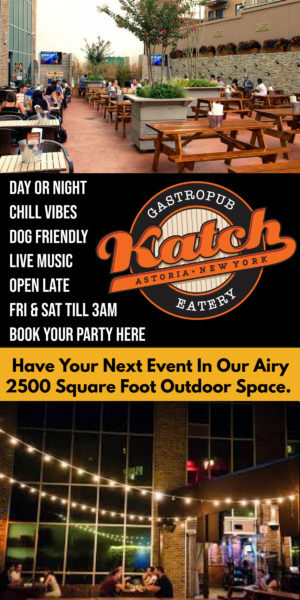 We Heart Astoria Food Talk covers Bareburger’s new renovation, Alobar’s whiskey offering, SingleCut Beersmith’s ladies only beer seminars, delicious seafood eats at Off the Hook Oyster Bar, spicy curry at Enthaice and gluten free options at the NYC Bagel & Coffee House. We Heart Astoria Food Talk features eateries serving up warm, comforting dishes to help us deal with the polar vortex. We Heart Astoria Food Talk features the best bites of 2013 such as tasty dessert, cocktails, pizza, bbq, brunch, and coffee. We Heart Astoria Food Talk Christmas Edition covers Ovelia’s name day celebration, drinks and raw bar service at Mar’s, festive treats from La Guli Patry Shop, brunch and dinner service at The Thirsty Koala, and my hand-dipped pretzel recipe. We Heart Astoria Food Talk features Alobar’s new whiskey offering, Tamara Reynolds on the Lifetime Moms Network, M.Wells and Bear’s new winter eats, Tufino’s 1 year anniversary, chocolate truffle recipe from Rest-au-Rant and more! Food Talk, Thanksgivukkah Edition features last minute Thanksgiving restaurant specials, Hanukkah treats, after Thanksgiving brunch, healthy recipes and more. We Heart Astoria Food Talk gets ready for Thanksgiving with a special burger at 5 Napkin, our epic Thanksgiving post of food options, gluten free picks in Astoria, The Strand, Bear Restaurant, The Baroness, and more. We Heart Astoria Food Talk Halloween edition features our epic Halloween recommendations such as cupcakes from Astor Bake Shop, Ovelia’s Halloween Rock n’ Ribs, LIC Market’s pumpkin beers, NY Dog House’s Spooky Dog and Tufino’s 50% off of wine. We Heart Astoria Food talk focuses on Astoria’s best pizza including Milkflower, Tufino, Lorusso’s, Astoria Bookshop Robicelli’s cupcake event, Ovelia’s special diets menu items, pumpkin and fall flavors, and more.